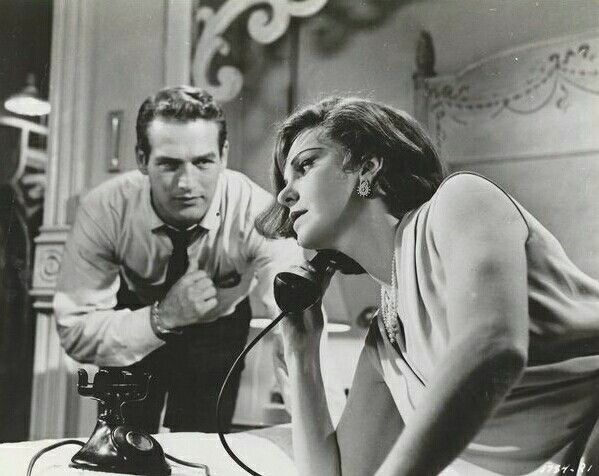 Geraldine Page and Paul Newman in Sweet Bird of Youth. 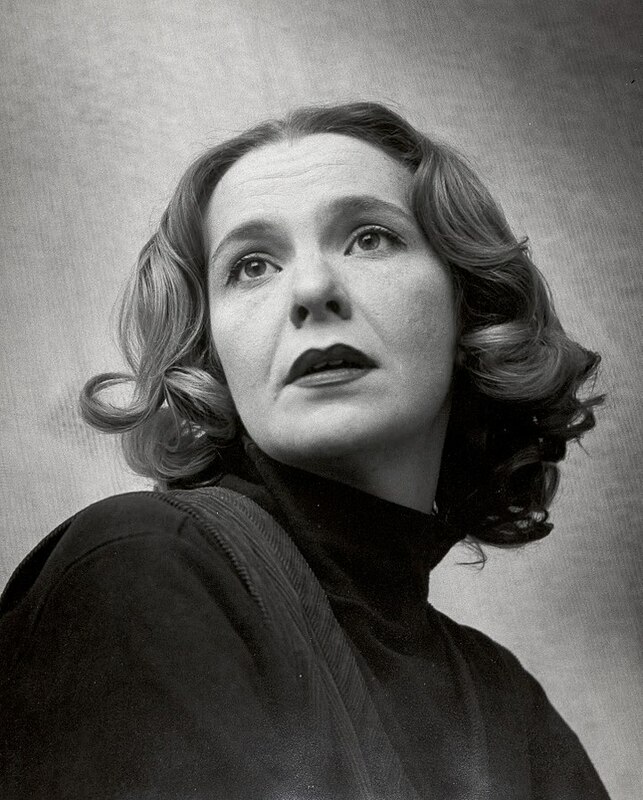 Geraldine Page – photo by Roy Schatt circa 1950s. As I had grown up in the small town of Mayfield in Western Kentucky, my cultural horizons were rather limited. Though I dreamed of making it to NYC eventually, New York and Los Angeles seemed as remote as the Emerald City of Oz. When asked where I wanted to go to college, I generally responded, “Memphis State.” It was the only college I knew, and I had visited it once, and seen a beautiful set for their production of Hedda Gabler. It was the first professional set I had ever seen, and it featured flocked wallpaper, which struck me as classy. I consulted Mr. Robertson, the head of the theatre department at Murray State College, closer to home, and he advised going further afield, to a university with an extensive theatre department. But I had no idea of how to get there. Then I met a woman named Darrell Smith, who was also a former student of speech teacher Ruby Krider, with whom I had studied during the year we lived in Paris, Tennessee. I had vague plans for a production of Shaw’s Candida, with Darrell in the title role, which came to naught, and Darrell’s husband seemed to resent my presence in her life. When she asked me where I was going to college, I again said Memphis State. Darrell said, “You are not! 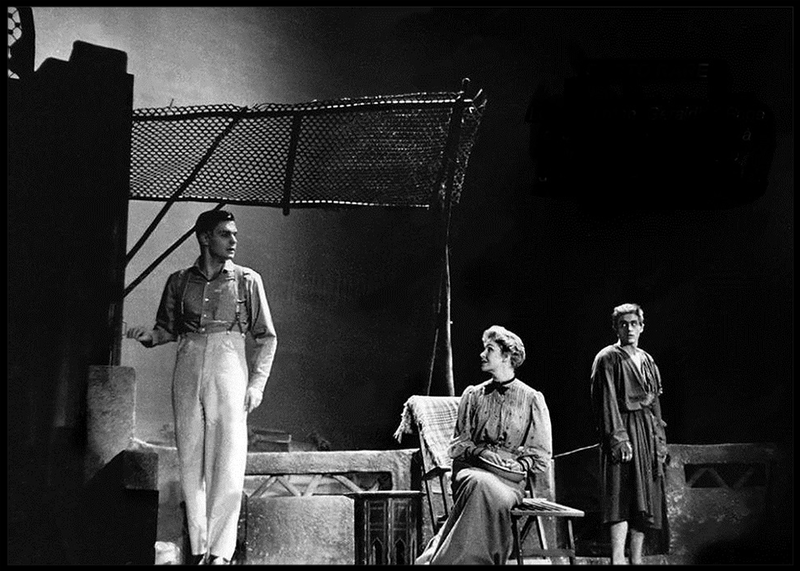 You’re going to Northwestern!” I’d never heard of the place, but Darrell had gone there, and had a friend on the theatre staff, Ida Mae Goe, who was the costumer in the theatre department. They conspired, and soon I received a scholarship application. I was accepted, and began to look forward to going to the school in Evanston, Illinois, a suburb of Chicago. On my very first night in Evanston, I took the El train into Chicago to see New Faces of 1953, with Eartha Kitt, Robert Clary, Ronnie Graham, the wonderful June Carroll, and Alice Ghostley, which is still the cleverest and most exciting musical revue I have ever seen. It was full of witty, funny, sophisticated sketches. The most cryptically funny of the skits was set in an office. At stage right, Virginia de Luce as the switchboard operator, was seated at an old-fashioned switchboard, with many cords which had to be plugged and unplugged to put through calls. At stage left, Alice Ghostley was typing away with intense concentration. After a few moments, Robert Clary entered, wearing knickers, argyle knee socks, and a turban, and carrying a doctor’s bag. He sat down, cross-legged, at center stage, opened the doctor’s bag, produced a flute from a holster at his belt, and began to play, snake-charmer style. As he played, a stethoscope rose up out of the bag and began to dance. Simultaneously, all the cords on the switch-board rose up and also began to undulate. Then de Luce leapt up and began to perform a wild, eccentric dance of her own. Ghostley just kept on typing. After some moments of this, Clary stopped playing, the stethoscope sank back into the bag, the switch-board cords ceased to dance, and de Luce resumed her place. Ghostly just kept on typing. Clary returned the flute to its holster, closed the doctor’s bag, rose to his feet, picked up the bag, and departed. When he was gone, Ghostley looked up from her typing for the first time to say, “He was late today.” Blackout. Later, during the curtain call, Clary and Kitt were having a cat-fight, and in the process, one of Kitt’s breasts popped out of her gown. I don’t know if the fight was real, or a staged bit to add a risqué touch to the production. On subsequent Saturdays, I saw the last surviving national company of Oklahoma! with Florence Henderson as a delicious Laurie, and Lillian Hellman’s The Children’s Hour, with Patricia Neal, Priscilla Gillette, Fay Bainter and Iris Mann. And then came the best show of all, The Rainmaker, with Geraldine Page and Darren McGavin. Geraldine Page and James Dean in The Immoralist. I would later see Page in weightier material, but that performance remains a high-point, tender and funny and luminous. And perhaps because it was the first time I saw her, it’s this performance that was most memorable. In the tack-room scene, when Starbuck makes love to her, lets down her hair, and tells her she’s beautiful, her plain-jane looks disappeared and she became beautiful. 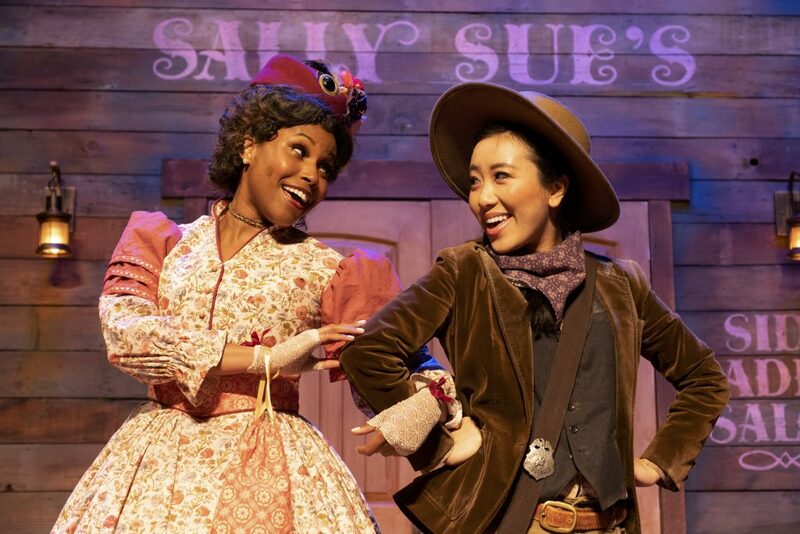 I knew all the technical tricks that were used to effect the transformation—the costume, the wig, the make-up, and the gorgeous lighting—but in addition to all that, she did it. She became transcendently beautiful. God knows how. And in the scene when, at the end, she was standing center stage, looking back and forth between File and Starbuck, and she has to choose between two suitors when she never expected one, it was pure, scared, incredulous joy. As I was buying my ticket, a strange man came up to me and offered to get me into the show for $1. He was apparently working at the theatre in some capacity and indulging in a little capitalist enterprise of his own. I told him I already had my ticket, and he said that if I wanted to come back and see the show again, I should come to him and he could get me any seat in the house for $1. I took him up on his offer, and went back several times, sitting once in a front stage box, once in the second balcony, and once in the center of the orchestra. And it was a different show, depending on where I sat. From the second balcony, it was extremely funny because you couldn’t see the actors’ eyes which made it poignant. From the stage box, it was very moving, but hardly funny at all. The next time I saw her onstage was in NYC, in, I think, 1959, in Tennessee Williams’ Sweet Bird of Youth, as the movie star Alexandra Del Lago, opposite Paul Newman. I had been trying to mount a showcase production of Lillian Hellman’s Another Part of the Forest, but it met with endless problems. We had already made a down-payment for the Orpheum theatre downtown. But then I received my draft notice, and would have to be back home in Kentucky to be inducted into the army. That totally demoralized me, and I no longer could keep the iffy project afloat. We had also sent out invitations, to Hellman, Patricia Neal, and various others connected with the original production, for the night before I was supposed to take the train home. I felt I should be at the theatre, to apologize to anyone who tried to attend the showcase, but I couldn’t face it. Instead, I managed to buy a single ticket for Elia Kazan’s production of Sweet Bird of Youth. And it was off to the army, and 18 months in Germany for me.